Aim for a sleek and confident look wearing the Tissot® Everytime Swissmatic watch. Three-hand analog display with Swiss automatic movement (power reserve of 72 hours), and date display window. White dial face features Arabic with baton indexes and minute track at dial perimeter. 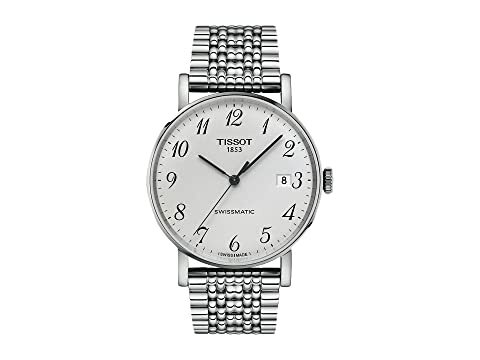 We can't currently find any similar items for the Everytime Swissmatic - T1094071103200 by Tissot. Sorry!